Day 10 was a Hoot, let me tell you! I would have posted this picture last night but, I didn’t get home from work until 3am this morning. All I will say on that subject is; At least they were Virtual Servers. No “pieces parts” to deal with. Ok, well we had some Chinese food for lunch today and I got a treat… My fortune cookie came with, wait for it… TWO FORTUNES!!! 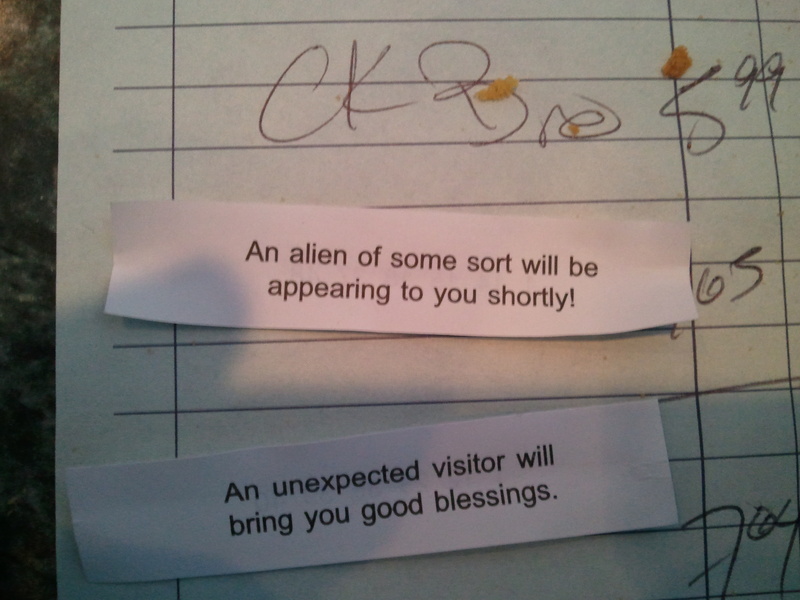 Yes, that’s right 2 (two) fortunes in one cookie. 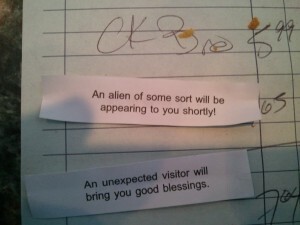 Although, together they made ONE strange fortune for sure!